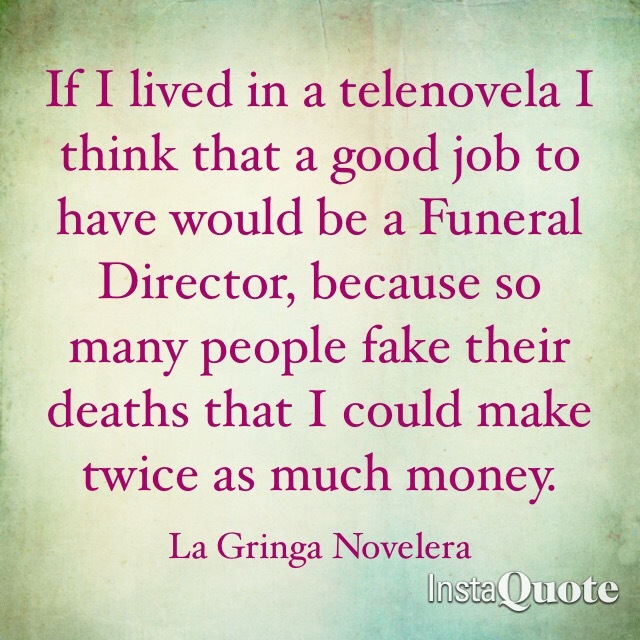 AN UNREALISTIC VIEW OF HOSPITALS, EVEN IN A TELENOVELA!! In the SuperNovela “Falsa Identidad” on Telemundo, if Isabel thinks that the hospital is going to return the money her current husband Diego paid for her ex-husband El Corona’s kidney transplant to try to win her back, because they took the payment without her permission, the first thing Isabel needs to know is that it is not a violation of the HIPAA Act for a hospital to take money. Second, even if it was a violation, they will never return it. Third, you can see Isabel has not spent a lot of time dealing with hospital Billing departments. Want to have fun and learn about telenovelas? Join me on my journey learning Spanish from telenovelas!! Next Next post: WATCHING “SENORA ACERO” COME TO AN END IS LIKE LEAVING A FUN PARTY FILLED WITH GREAT-LOOKING GUESTS WITH TERRIBLE JUDGEMENT, WHO NEVER CALL 911!